A breeder dropped off a box at the Sacrament SPCA headquarters in California. 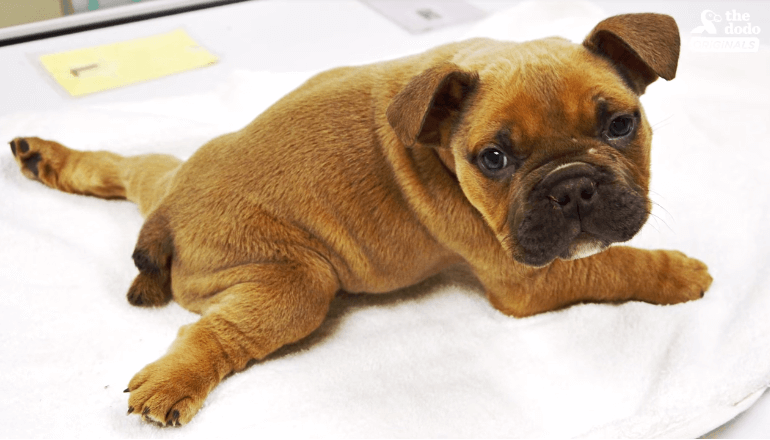 Inside was a brown bulldog who, by breeder’s language is a defective one. 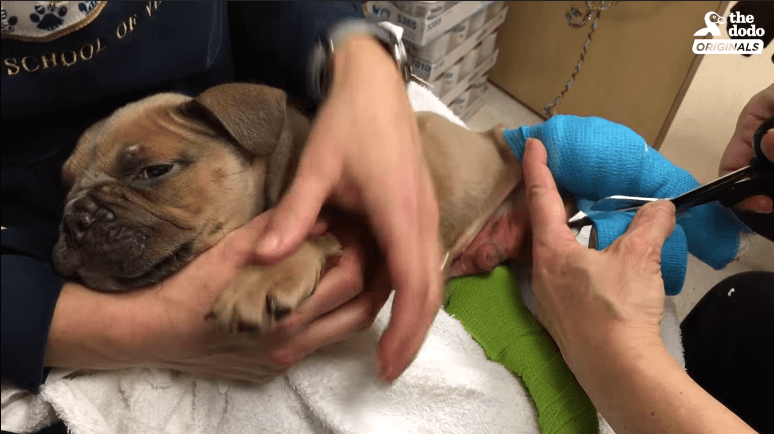 The poor dog was in a really bad shape – he has a congenital defect that makes it very difficult for him to walk. When breeders produce a defective dog, they won’t have any use for it, so their only option is to get rid of it. Luckily for this bulldog, he was sent to the SPCA. The members in the SPCA who found Bueller, the name was given to poor abandoned were very concerned about his condition. But every time they look at the poor pup who was barely 6 weeks old, they can feel a sense of determination rolling off him, as if telling them he wants to live, and that he will make it. Subscribe and Receive This Free Ebook and Some Great Bonuses!!! It was a very tough decision, but they wanted to give it a try. They are willing to give Bueller a try. They made up their mind that they will help him live a normal puppy life as much as possible, and will try everything to make him progress. So Bueller went under a couple of therapies. They made him do water therapy to let his legs move in a more natural way as it won’t put much strain on his legs. 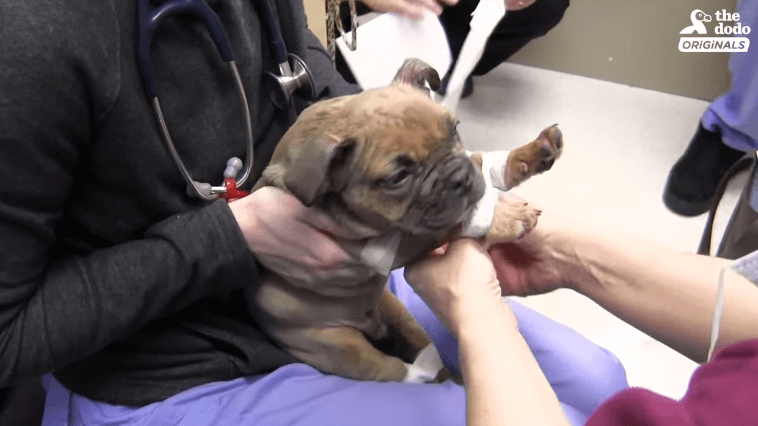 They bind his legs with tape to help align them and basically did everything they can to help him try to walk. Bueller’s journey was never an easy one. When he was able to lift himself up and stand on his back legs to support himself while his front legs hold on to a fence, that’s when his rescuers knew he can make it eventually. (AWESOME) This Border Collie Can Do What ? WOW! Want To Own a Wolf Dog? These Are The Things You Should Know. Finally The Dog Couldn’t Take It Anymore…Dog Retaliates OMG! So Funny!